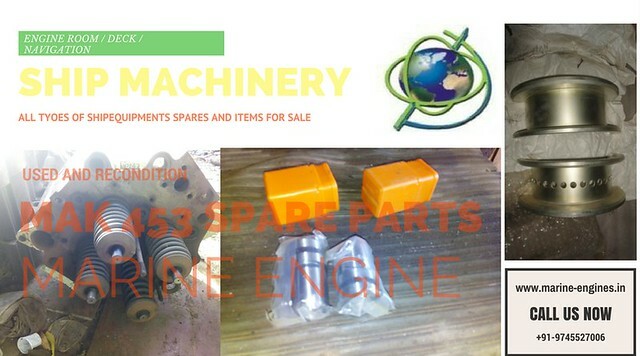 Spare Parts for Main Engine MAN B&W 6S50MC available in stock and for Sale. These are few items listed here. If you didn’t find what you looking for, do write to us with complete details. We will source and supply you the required part as required. Condition : used and reusable working condition. Its a complete generator and on demand only engine also can be supplied. interested buyers do contact us for more details, price and availability. The available MAN generator is removed from ship in working condition. 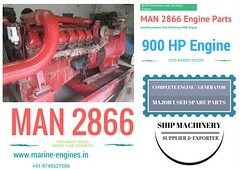 We also provide after sale services and supply of used spare parts for MAN 2866 engine. 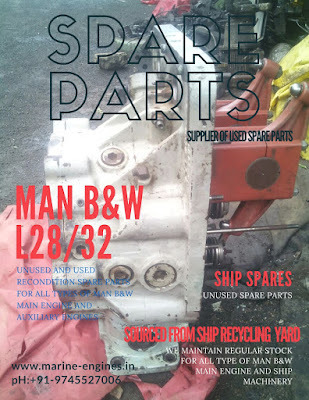 MAK Marine Engine and Auxiliary Engine Spare Parts available in stock and for sale. 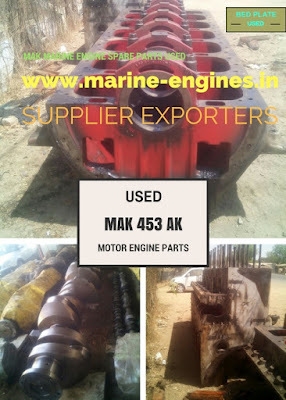 We source and supply used / unused and reconditioned spare parts for MAK 453 marine engines / motors. Available almost all major spare part in stock. These parts are in excellent condition and can be directly fitted to engine. All parts are OEM genuine parts sourced from ship stores from ship matching gearbox recycling yards. Complete set of unused major spares in stock, ready to dispatch MAK 453 Engine Spare Parts. Ship Spare Suppliers dealing in all type Navigation, Engine Room and Deck machinery items. Supplier of all type Ship Spares like Navigation Equipments, Deck Equipments and Engine Room parts, auxiliary engines. 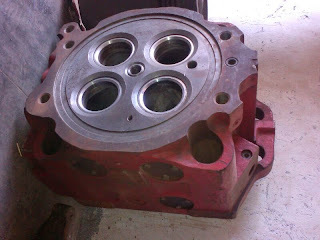 We source and supply all type used recondition and remake parts for almost all make (brand) engines and equipments on board ship. Currently we deal in Marine Generators, main engine and spares, navigation / bridge equipments. Ship deck equipments including rescue boats, marine cranes and fire fighting equipments. 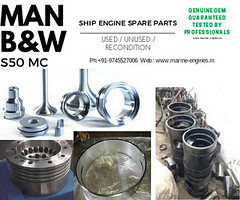 We also supply ship engine remake parts on demand from buyers.The remake parts are manufactured in India. The Ship Spare supplied by us are Used Reconditioned ship machinery parts and are tested by professional marine engineers. 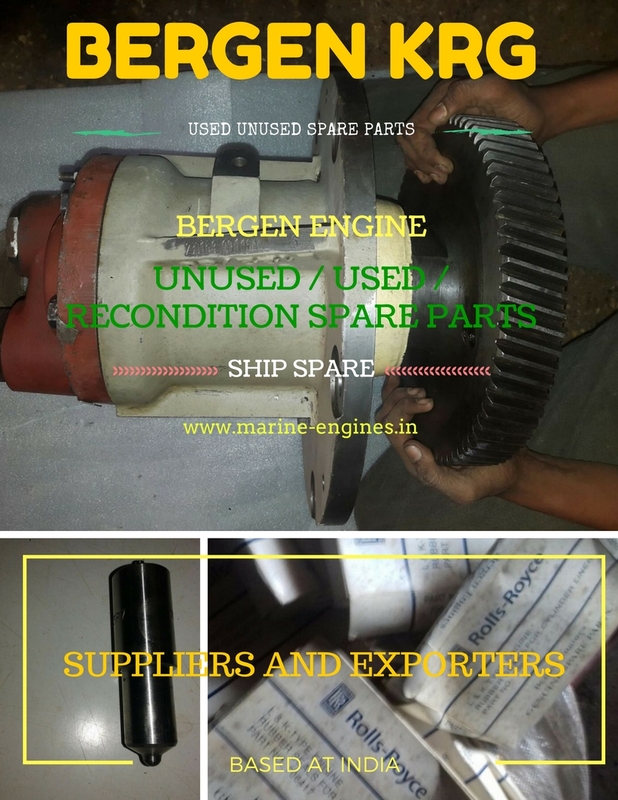 Unused(new) parts recovered from ship store at ship breaking yards are also supplied by us, subjected to availability.
. Required test certificates can be submitted for dimension and other pressure tests on demand along with the supplied spare part. We certify all parts by third-party certifying agency nominated and approved by shipping class at extra cost on demand. 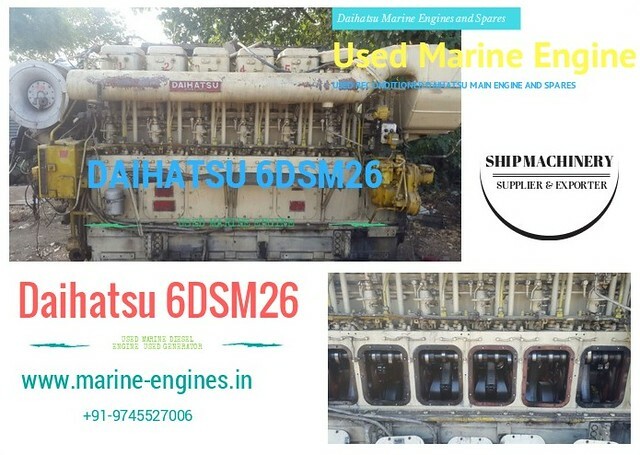 Contact us with details of your requirement of spares for main engine and other types of equipment of ship. Spare Parts for all types of Wartsila Engine (Motor) available in stock. 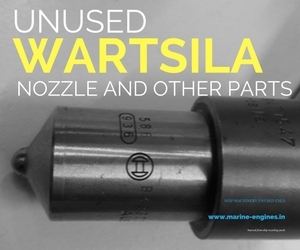 We supply used / unused and reconditioned spare parts for Wartsila Marine Engines. We source and suppy used unused recondition spare parts for all types of Yanmar Main and Auxiliary Engines along with Yanmar Generators. These spares and complete engines are sourced from ship recycling yards. 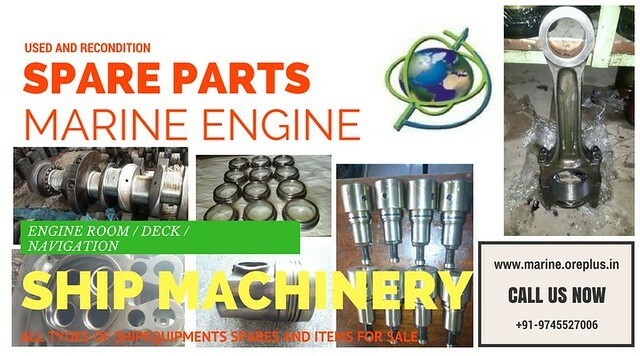 These are few parts of Yanmar 280 Engine to be listed here. If didn't found what you require, do write to us. We will source and supply the same at the earliest. Interested client contact us with requirement of used reconditioned spare parts for Yanmar Engines. All engine parts are genuine and reliable. We supply spare parts to customers after conducting proper test by our team of experts and engineers. 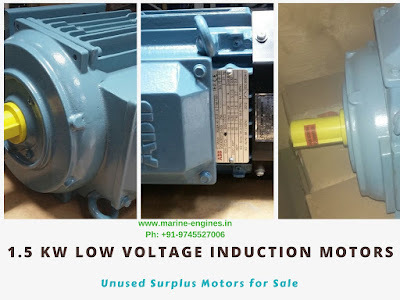 We source and supply used marine / ship machinery like generators, auxiliary engine, propulsion engine, ship engine spare parts, sourced directly from ship recycling yards. The engine and generator supplied by us are low running hours and are in best running condition check and tested by professional engineers. Sourced after dismantling of old engine. Also available in stock other major spare parts for MAN B&W 6L 28/30 Engine. Contact us for more details on price and availability and supply terms. 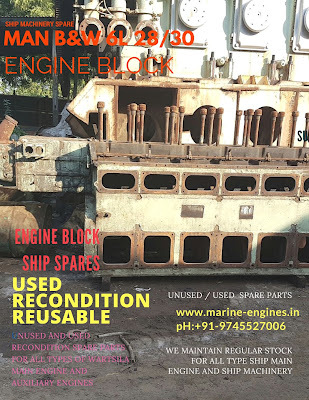 We are regular supplier and exporters of Ship Machinery unused and used recondition spare parts for all type of ship main engine and auxiliary engine. We regular maintain stocks of unused and used recondition spare parts for MAN B&W engines. These few parts listed above. Both unused and used recondition pressure tested spare parts available. Contact us with details of required spare parts for your MAN B&W L28/32 engine. Unused Spare Parts for MAN B&W or Sulzer B&W available in stock. Genuine and OEM unused parts are regularly supplied by us. 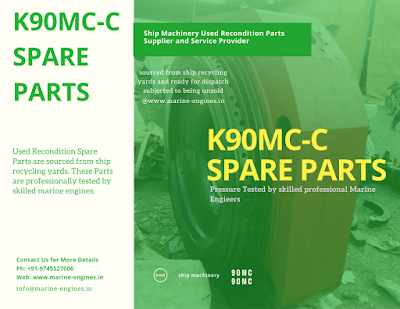 We are service providers and exporters of used, unused, recondition spare parts for Ship Main Engine and other ship machinery on board ship. 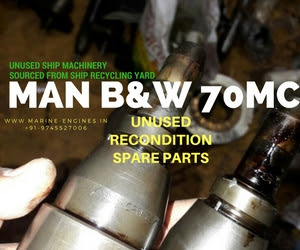 Currently we are procuring and supplying unused (as new as box packed) spare parts for MAN B&W 70MC main engine sourced directly from ship stores which got dismantled at ship breaking yards. The above listed are few to be listed here. Contact us with your required spares list and our team will submit you with the details of availability along with reasonable / competitive price. 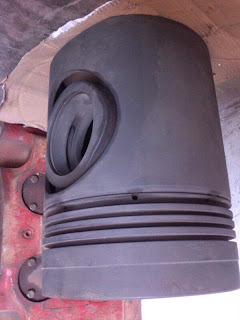 We deal in almost all type of MAN B&W Ship Main Engine spare parts and other ship machinery. 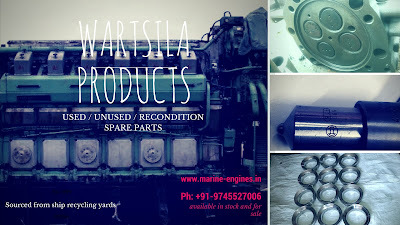 Unused Spare Parts for Wartsila Engines available in stock and for sale. We supply almost all major and minor spare for all type Wartsila engines for our regular maintained inventory. 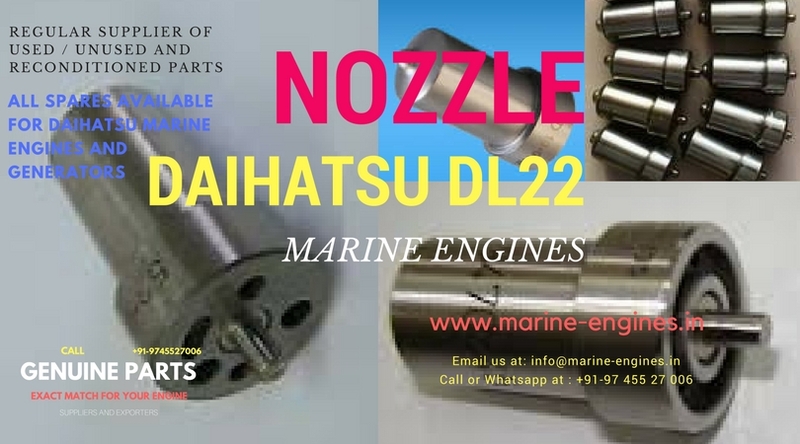 If you didnt got your engine listed above, then do write to us with details and required quantity of nozzles or any other parts for Wartsila Vasa Engine. The parts are sourced from ship stores which got dismantled at ship recycling yard. If you don’t find required part in above list, do write to us with required quantity, we will source and supply. All parts are sourced from ship recycling yards, some parts are unused box packed and some are recondition with pressure test. For more details on price and availability along with shipping for 90MC-C, do contact us. 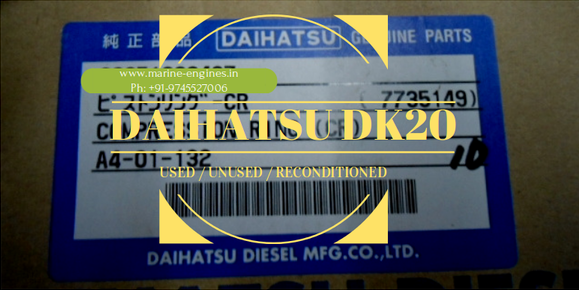 We are regular suppliers for used / unused and recondition spare parts for Daihatsu Engine / Generator. Other major spare parts are also available. 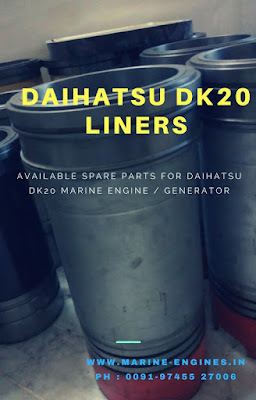 Contact us with list of your required spares for Daihatsu DK20 Engine.